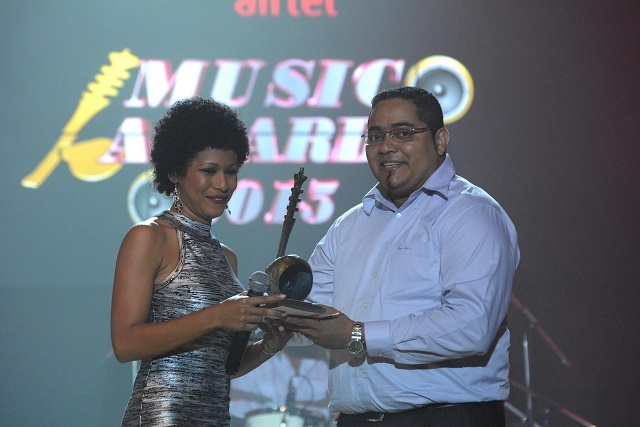 (Seychelles News Agency) - Bursting onto the music scene in Seychelles with the hit song ‘Bers mon lavi dan ou love,’ Angie is now a well-known name not only locally but throughout the Indian Ocean islands. Hailing from the district of Anse Boileau in the west of the main island Mahe, Angie Arnephy debuted her solo career with a remixing of the love song of Reunionais singer Toulou in 2015. “I knew people would love the song, but I never expected it would be such a hit. I knew it would do well because it is reggae and it is a true story of the composer whose girlfriend passed away,” Angie told SNA. With her new hit ‘Bers mon lavi dan ou love’ which tells the heartache of losing a loved one, Angie won the AIRTEL music award 2015 for best new artist. It all started when Angie and her father Bernard Arnephy were approached by Derrick Young-khon, director of programming with local radio station Pure FM, and Seychelles representative on the ‘Voix de l’Ocean Indien,' meaning Voices of the Indian Ocean. 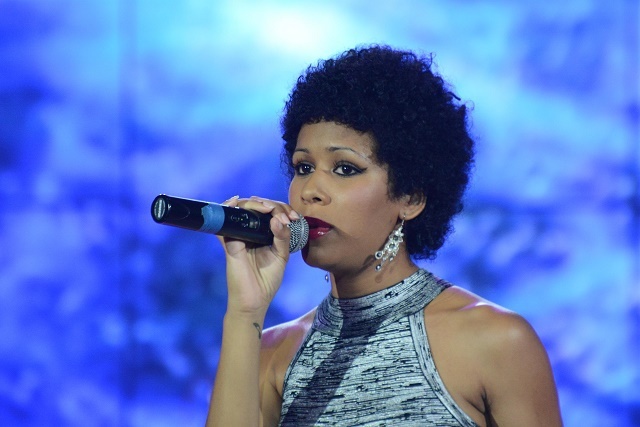 Angie told SNA that Young-Khon approached her and her father in June last year proposing that she sings a song for an artist from Reunion, an island in the Indian Ocean, who wanted his song in the Seychellois Creole. Young-khon is Angie’s producer and manager. “I took a look at the song on YouTube and immediately liked it. So I agreed and recorded it at Kidion Records at Mont Buxton,” says Angie. Cyril Moimbe, known as Toulou, is a famous producer and singer in Reunion and is the composer of the song ‘Fe viv a mwin dan lo love,' now remixed into a reggae version in Creole from Seychelles. Angie is on the airwaves in Reunion and features in several compilations such as ‘Soldjah women’ with other artists from the island, making her the second artist from Seychelles, an archipelago in the western Indian Ocean, to be recognised in Reunion after Sandra Esparon. After releasing another single ‘3-2-1,' Angie is also collaborating with other local artists including Master Emel. “I hope to make more collaboration because I learn a lot from them (the artists), especially those with years of experience like Elijah,” says Angie. The 19-year old is working on releasing her album and getting a shot at the title of best female artist 2016. She plans to perform regionally, too. “I have a few performances scheduled for this year in the region, especially Reunion Island, but it has not been confirmed yet,” says Angie. Forging ahead in the music business is not always easy especially in a small country like Seychelles with a population of 93,000. Angie says she is getting a lot of support from her nearest and dearest. “My parents help me both morally and financially. I also get the support of my producer, other colleagues such as Master Emel and Sandra who is the actual best female artist,” explains Angie. Angie, who is now working part time at the local housing finance company while she waits to pursue her studies in law next year, wants to make time also for her music. “I want to continue with music but when the time comes I will have to allow my studies to become the priority especially in the first year. If all goes well perhaps in my second year and more I can find some time to produce some music for my local fans,” she says.